Wangaratta Rangers Black defeated Wodonga Warriors White 11-0 on Sunday as two pitchers combined to throw a shutout. Owen Godenzi induced a groundout from Mark Cory to finish off the game. Scott Jenkins led Rangers Black to victory by driving in four runs. They went 2-for-3 at the plate. Jenkins drove in runs on a walk in the third, a home run in the fourth, and a single in the fifth. Wangaratta Rangers Black notched five runs in the fifth inning. The offensive onslaught came from singles by Jenkins, Shaun O’Neil and Bryan Wilson and an error on a ball put in play by Cam Scott. One bright spot for Wodonga Warriors White was a single by Cole Flanders in the first inning. Aaron Parker got the win for Rangers Black . He lasted five innings, allowing seven hits and zero runs while striking out four. Godenzi threw one inning in relief out of the bullpen. Fraser Chadwick took the loss for Wodonga Warriors White. They surrendered seven runs on six hits over two and a third innings, striking out two. Rangers Black smacked one home run on the day. Jenkins went for the long ball in the fourth inning. Wangaratta Rangers Black totaled nine hits. Scott, O’Neil and Jenkins each had multiple hits for Rangers Black. Wodonga Warriors White totaled seven hits in the game. Flanders and Jesse Griffiths each collected multiple hits for Wodonga Warriors White. 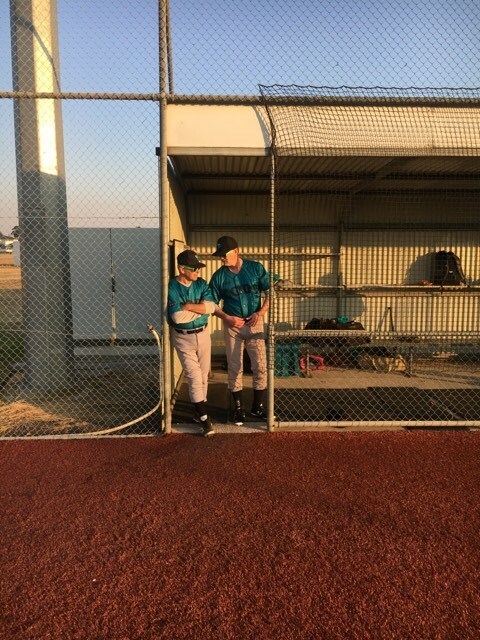 Flanders led Wodonga Warriors White with three hits in three at bats. 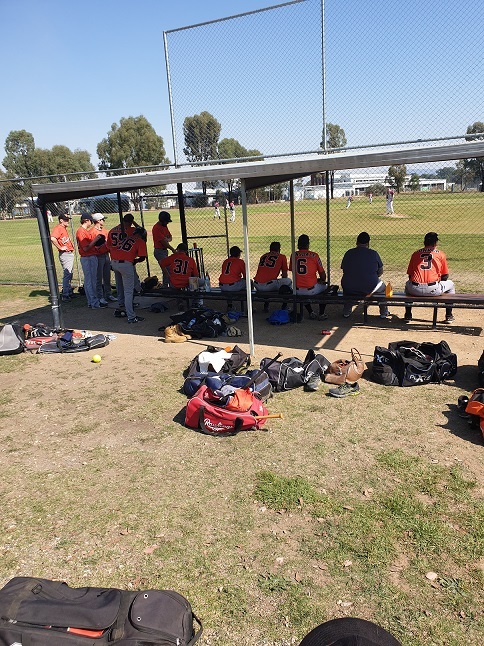 A ground out in the sixth inning helped Porepunkah Panthers battle to a 8-8 tie with Wangaratta Rangers Orange Seniors on Sunday. Rangers Orange fired up the offense in the first inning. Kelsey Burder doubled on a 1-2 count, scoring one run. Rangers Orange notched four runs in the second inning. The offensive onslaught by Rangers Orange was led by Burder, Tony Smith, Ian Dinsdale, and Kyle Gilmore, all sending runners across the plate with RBIs in the inning. Burder led Rangers Orange with two hits in three at bats. Porepunkah Panthers saw the ball well today, racking up eight hits in the game. Scott McCullum and Damon Barker all managed multiple hits for Porepunkah Panthers. McCullum went 3-for-4 at the plate to lead Porepunkah Panthers in hits.